A white paper released last year by ISM (Independent School Management) entitled "Full Steam Ahead Part 3" unwittingly offers important insight into the particularly thorny problem of Jewish Day School finances. All businesses fall into one of these business types, progressive or stagnant. Manufacturing jobs are, generally, progressive—over time, technological enhancements create labor efficiencies, and therefore increased wages are affordable. Examples of stagnant business units, on the other hand, include education, health care, and personal care (like hairstylists). In the stagnant sector, output per worker rises slowly, if at all, however wages must increase at a similar pace as wages of other workers to remain competitive. And this is the crux of Baumol’s cost disease. Said differently, the cost of education has outpaced inflation because it still takes one teacher and ten months to educate a class of 25 students in a single grade's worth of curriculum. Yet to pay their bills and live with some modicum of comfort, teachers' salaries have had to rise at a similar pace as those of industries where the speed and efficiency of production has greatly increased. For Jewish Day Schools this is as true as it is for any other educational institution - only more so. That is, due to the larger faculty needed to staff a dual curriculum Jewish Day School, the relative "cost of production" was higher than that of single curriculum public and private schools seventy years ago when the Day School movement was born, and continues to be so today. Daunting as the problem may be, the solution offered by ISM is even more frightening for the Day School world. For the Independent Schools, the answer is simple: continue to raise tuition. They contend that since the products of the "progressive" industries have become significantly cheaper over the past few decades, the cost savings realized in those sectors balance out with the increased costs of more "stagnant" sectors like education and so the net loss is zero. Don't fret, therefore, about continuing to allow tuition to outpace inflation. According to this theory, it all balances out in the end. ISM readily admits, though, that this solution only works for an exclusive sliver of the population at the very top of the socio-economic ladder. The paper unabashedly states that "middle-income earners are not the primary market for private-independent schools. It’s the top decile of income earners that most independent schools must attract to assure sustainability." And there's the rub. Day Schools are suffering from Baumol's Disease as much as, if not more than, their Independent School counterparts, but Day Schools were created to serve the full breadth of our communities and not simply the "top decile of income earners." I have long wondered whether the source of the economic challenges facing the Jewish Day School world lie in the fact that they do not fit either of the predominant models of educational institutions: the subsidized model or the pay-for-play model. The former tends not to discriminate based on financial ability while, as ISM's white paper clearly indicates, the latter generally does. The Jewish Day School model, however, seeks to be both non-discriminatory and non-subsidized. Couple that with the same Baumol's Cost Disease afflicting all educational institutions, plus the higher expenses of a dual curriculum and the ever-growing demands of educational excellence expected by increasingly sophisticated Jewish parents, and it isn't hard to understand how we arrived where we are. We need to transform Jewish education from a "stagnant" industry into a "progressive" one. Blended learning schools have made valiant attempts in this direction, but their "production costs" have yet to prove game-changing. We need to transform Jewish education from the "pay-for-play" model to the "subsidized" model. Yale Professor Edieal Pinker made the case in a recent Op-Ed in the New York Jewish Week that the broader Jewish community ought to be the subsidizer. 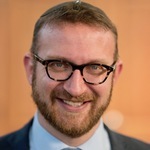 Others believe it ought to be the government and still others would like to see the upper echelons of Jewish philanthropists become the subsidizers of Jewish education. They need not be mutually exclusive but, absent disruptive innovations in the production of Jewish education, we will need some or all of them to materialize rather soon. There is, of course, a third possibility. If we cannot manage to transform Jewish education into a "progressive" industry and we cannot manage to shift from pay-for-play to a subsidized model, that may leave us by default with Day Schools that can cater only to the "top deciles of income earners." Such would cut to the heart of our most cherished values and might well undermine the very reason we seek to educate our children Jewishly to begin with.